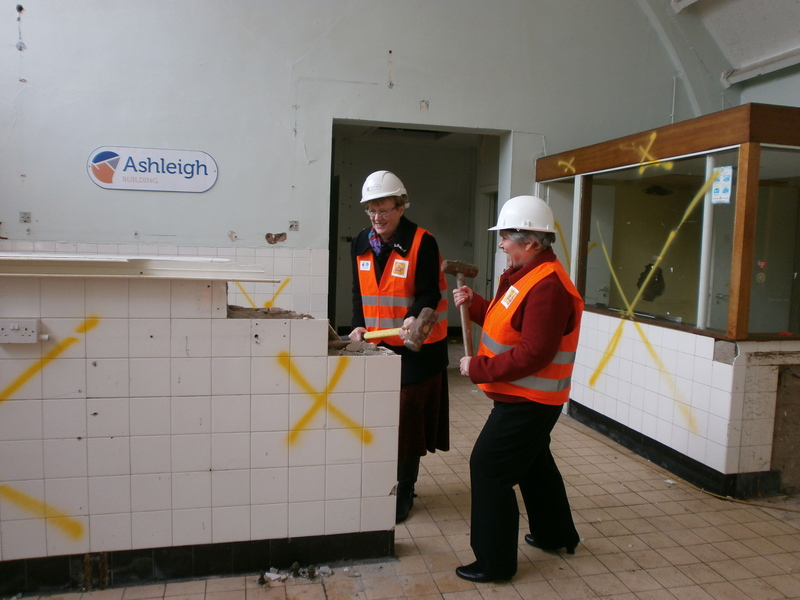 Ashleigh (Scotland) Limited has recently commenced works on a new project at Old Townhead Church in the heart of Dumfries. 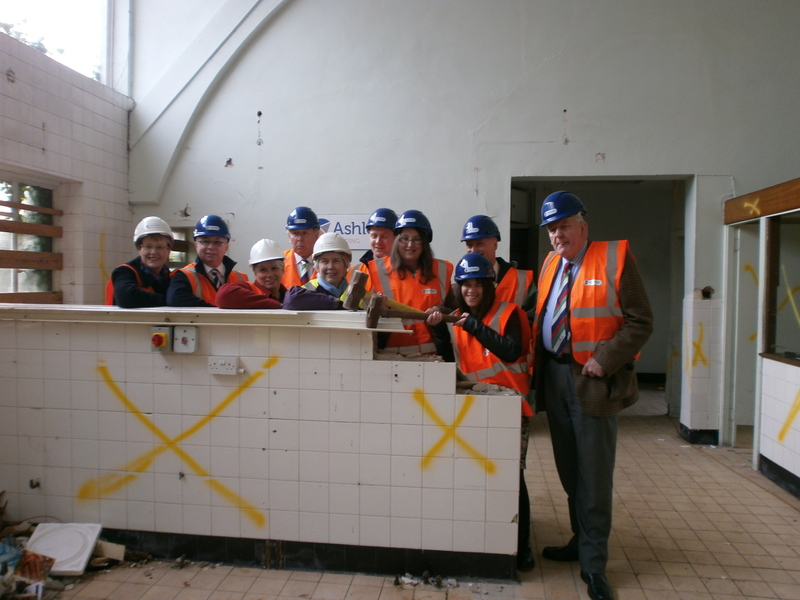 The project will see the construction of a community Café called The Usual Place, which will offer employment and training opportunities for young people with additonal support needs. Heather Hall and linda Whitelaw set up the Inspired Community Enterprise Trust a non-profit social enterprise over three years ago. They have secured £1.1m lotto windfall and funds from a range of local charities to get this project off the ground. 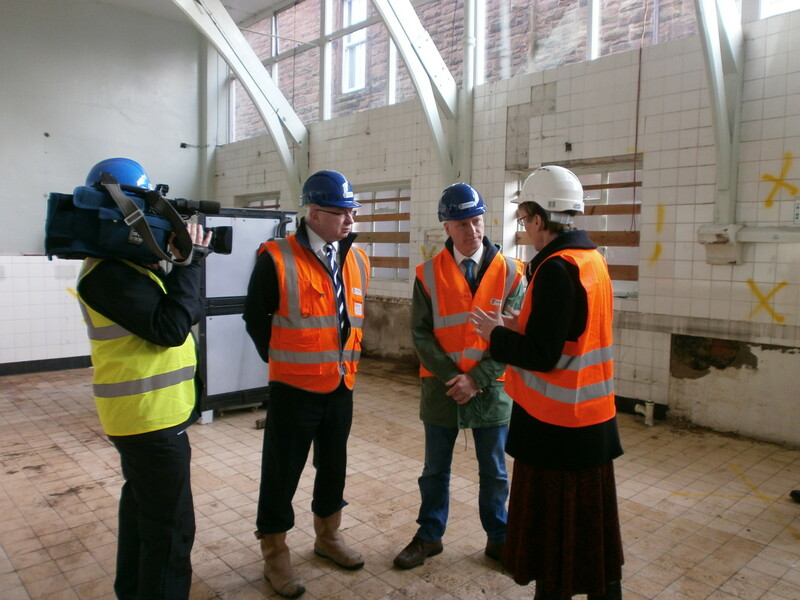 The site was recently visited by two Holyrood Ministers Joe Fitzpatrick and John Wilson. 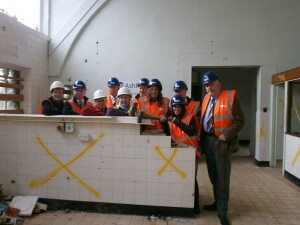 “ This is a great project, which will provide training and support for numerous young people in the future. Ashleigh are proud to be the main contractor and supporter of the project.” Douglas Small Joint Managing Director.